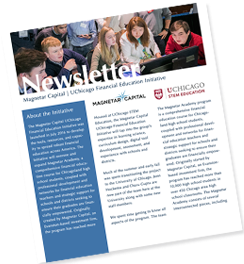 One thing that sets the Magnetar Capital UChicago Financial Education Initiative apart is our engineering approach to curriculum design. We design, test, and revise---and then repeat. While this is grueling (and humbling! ), we believe this iterative process is essential to designing the best possible tools for teachers and students. A key part of this iterative process is soliciting feedback from our users, which include teachers and students. We have great team of teachers who review and field test our tools, providing valuable insight as to how these tools are used and modified in the classroom. A dedicated class on the day-to-day management of finances is needed. Students want financial education to be more practical and applicable to their own lives. Some specific topics they want to see include: student loans, savings, credit, insurance, taxes, and 401Ks. Similarly, students want a curriculum that honors their knowledge. Many students have experience managing money on their own, but most programs fail to realize this. 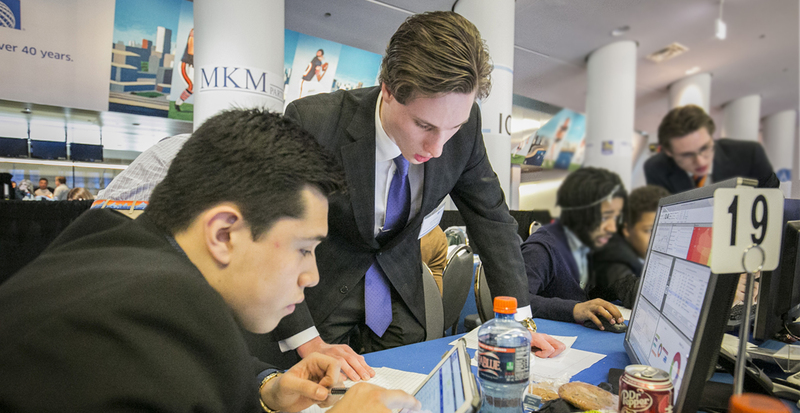 Students want more opportunities to practice making financial decisions and managing money. More games, scenarios, simulations, and projects would be helpful in bringing financial education to life. With the help of students and teachers, we hope to build a financial education program that provides students with the skills, respect, and practice they need.